Too many campuses are vulnerable to active shooters and need to move from reactive to proactive when it comes to keeping our students, staff and buildings secure. Modern campus safety demands solutions that stop threats just as quickly as they arise. This problem is a uniquely difficult one, as a threat cannot be mitigated unless security is made aware. While visibility and alerts are critical to awareness of a threat, they are still reactive by nature. What’s needed is a proactive approach. At ReconaSense, we’re delivering security solutions that change the game. Combining artificial intelligence with physical security, we shine a light on those risk indicators that are invisible to the human eye delivering real-time security intelligence and implementing appropriate security measures to help prevent an attack from doing harm. ReconaSense Safe Campus is the first physical security intelligence solution to offer early warnings, instant lockdown and automatic emergency cooperation – all in one platform. The solution integrates with gunshot detection controls, video analytics, access control solutions and more to monitor for potential threats or attacks and to quickly mitigate risk. 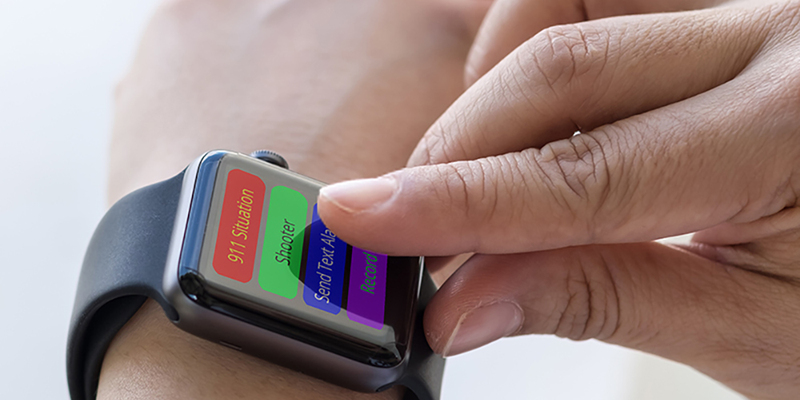 With ReconaSense, campuses can lockdown – automatically or with the touch of an iWatch or other mobile device – saving time when it matters most and keeping students and faculty safe and secure. Faster response times threats and breaches: Gain more situational awareness across the campus and proactively enforce risk-appropriate security controls. Ready to Shine a Light on Your Security Blind Spots? If you’re ready to proactively secure the campus, request a demo and see how ReconaSense can work for you.